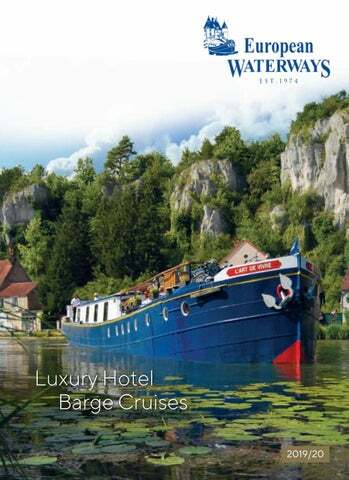 ...from the Directors: Welcome to our exclusive collection of hotel barge cruises. For over 35 years, we have specialised in creating luxury barging holidays on some of the most beautiful and intimate waterways of Europe. On behalf of all our staff and crew across the fleet - Welcome Aboard! 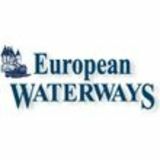 Established in 1974 and operating hotel barge cruises since the early 1980s, European Waterways is the largest hotel barging company in Europe with a wealth of knowledge to share with our clients. Still in the same private ownership of the Directors who run the company, our guests can be assured of consistently high standards of personal service, and our vast experience of the beautiful, smaller canals and rivers we cruise. In our fleet of 17 vessels, we have hotel barges accommodating between 6 and 20 passengers, with cabin sizes varying from ultra-deluxe suites comparable to top hotel rooms, to more cosy and compact staterooms. Cruises in 9 Countries Across Europe We offer the widest choice of any hotel barge company with destinations across 9 countries - from the picturesque vineyards of Burgundy to the spectacular Scottish Highlands; from the sun-drenched canals of the South of France to the delightful waterways of Holland; from the storybook Alsace-Lorraine region to the historic Venetian Lagoon and Po Valley in Italy. Exceptional Service and Expert Staff Whichever hotel barge you choose, you can be assured of the same high standards of on-board personal service and cuisine as well as the ambience of a floating house party. Each member of our Reservations Team has an in-depth knowledge of our fleet and destinations, so they can offer expert advice to help choose the cruising experience that is best for you. Our Many Happy Clients Many of our clients travel with us time and time again and also recommend us to their friends - a wonderful endorsement of which we are very proud. The hotel barges in our 17-vessel fleet offer a wide variety of styles, sizes and pedigrees due to their specific purpose when originally built, so each one has a unique history. The Heritage Most of the hotel barges in our fleet started life as cargo vessels carrying merchandise such as wine, timber or grain. Our oldest vessel, Lâ&#x20AC;&#x2122;Art de Vivre, was built in 1917 to carry munitions to the trenches of the Great War. All have since been painstakingly converted to offer luxury boutique accommodation for small groups. Many vessels in the fleet are owned by us, others by experienced hands-on operators who work with us and meet our required high standards. Individual Characters All our barges offer a similar cruising experience, with each having its own characteristics and personality. Vessel sizes also vary, mainly to conform with the dimensions of the locks on the different waterways which we cruise. Styles range from the feel of a traditional, classic yacht with varnished wood and brass to a more contemporary look. Size also influences the number of passengers which are carried, from 6 on our smallest hotel barge in the Loire Valley up to 20 passengers on our largest vessel cruising the Venetian Lagoon and River Po Valley. A Choice of Accommodation We offer accommodation to suit all tastes. Some hotel barges are ultra deluxe vessels offering very spacious cabin suites comparable to luxury hotels, others are in our deluxe range with comfortable, slightly smaller staterooms, while the barges in our first class category offer more compact but cosy cabins. Irrespective of size, every suite or stateroom is skillfully designed to make optimum use of space and is accompanied by full en suite facilities. Most beds can also be arranged in a double or twin configuration. Comfort and Facilities For your comfort at any time of year, our hotel barges are usually air-conditioned/central heated and each one has its own special features – perhaps a demonstration galley where you can watch your master chef prepare his next delicious creation, or a large rooftop sun deck where you can relax and admire the passing countryside and villages. The décor, furnishings and artworks on each barge have been specifically chosen to create an evocative ambience. It may be the elegance of a Renaissance château or the character of a Scottish country house. Whichever hotel barge you choose, you can be sure of a relaxed, informal setting to enjoy that pre-dinner aperitif and gourmet meal with fellow passengers. On deck, there is space to relax in comfort, enjoy an alfresco lunch, or maybe even soak in a spa pool. And if you wish to get some exercise and explore the towpath, there are always bicycles available. A hotel barge cruise is a very special way of exploring many of the glorious inland waterways of Europe, particularly those that larger river cruisers just cannot reach. On board, there is a relaxed, intimate ‘house party’ atmosphere, whether you choose to cruise with other like-minded people, or charter the whole barge as a family or group of friends. After a day of cruising and sightseeing, there is time for an aperitif, or maybe a relaxing soak in the on-deck spa pool, before a gourmet dinner prepared by your chef with the freshest local ingredients. To enhance your immersive dining experience, the hostess will explain the characteristics of each accompanying wine and cheese as she serves them. A perfect end to the day as you relax in conversation and share the day's experiences with your fellow passengers. Each day as your ‘floating boutique hotel’ glides sedately along at walking pace, you can relax on deck and take in the passing countryside, then perhaps get off at the next lock to stroll along the towpath or enjoy a little exercise on one of your barge’s bicycles. You may come across some locals playing a game of boules, or a charming canalside village to explore and then rejoin your hotel barge which will never be far away. Our hotel barge cruises offer a balanced daily blend of gentle cruising and fascinating excursions. Whether your interests lie in gastronomy and wine, local history and culture, or just relaxing on deck with a good book and a glass of Chablis, a “slow boat” voyage with us offers the ultimate in experiential travel. During your gentle voyage of exploration, your hotel barge may negotiate a truly impressive feat of engineering, such as Gustave Eiffel’s Aqueduct across the River Loire at Briare, the amazing Boat Elevator at Arzviller in Alsace, or the world’s oldest canal tunnel at Malpas on the Canal du Midi. Each one is an unforgettable experience in its own way. The Excursions After perhaps a light al fresco lunch on deck accompanied by a glass or two of chilled rosé, there is an escorted excursion, maybe to a bustling local market where your chef shops for the evening meal, to a château, or a vineyard for a private tasting. Many of our visits are to places ‘off the beaten track’ that larger groups cannot access, so that we offer you full immersion into the culture, history and gastronomy of the region. Please note that on alternate weeks we cruise in the reverse direction. The route, excursions and pick up/ drop off points remain the same. Canals are quieter, usually with little other water-borne traffic, and never any rough weather! Cruises for Everyone From multi-generational family charters and special interest groups to like-minded couples and solo travellers, we offer something for everyone. With between just 6 and 20 passengers on board, a hotel barge cruise offers a more intimate, informal atmosphere than on larger river and ocean cruise vessels, so it is an excellent choice for couples, single travellers, families, or small groups. Making New Friends as a Couple Many of our guests choose a hotel barge cruise with us because they relish the chance to meet other like-minded travellers who enjoy the finer things in life, such as great service, fine dining, wine and good conversation. They are keen to find out more about local culture and history, but at the same time want an absorbing, slow-paced voyage of discovery. Chartering a Barge When you charter one of our hotel barges – be it for a precious family gathering or friends’ reunion, a one-off celebration, or as a special interest group - we can arrange tailored itineraries to please everyone, whatever your ages or interests. Travelling Solo Our gentle voyages are also ideal for the single traveller who will be welcomed into the fold by the crew and his or her fellow ship-mates to join the ‘floating house party’, with everyone dining together around the same table and enjoying all the escorted daily excursions as a group. Family Charters We understand that today’s hectic lifestyles allow little time for families to spend precious leisure time together, so planning a multi-generational holiday can be a challenge. A hotel barge charter offers so much flexibility, freedom and fun for family members of all ages. It’s like having your own ‘private floating villa’ in a different location every day! ‘Home from Home’ The voyage itself is a great adventure. The children may like to help the Captain steer the barge, or perhaps take a bike ride along the towpath. There is plenty of time for the adults to relax too, maybe in the spa-pool on deck, or on one of the banquettes in the light and elegant saloon. Catering for All Ages Having the luxury of your own on-board chef means that meal arrangements are a flexible affair, every age and palette can be catered for, and every culinary whim, indulged. Tailored Activities Each hotel barge will cruise the same route as on its usual Classic Cruise, but for families we can create a bespoke itinerary, substituting many of the normal excursions with your preferred family activities such as a zoo visit or a canoeing excursion. Some other activities, such as hot air ballooning and horse-riding, carry a supplement and must be booked directly by you with the provider. And we don’t forget the grown-ups, with private wine tastings, tours of family-owned châteaux, and eclectic local markets there’s something for everyone. Special Occasions A hotel barge charter is a momentous way to mark a special occasion. From big birthdays to golden anniversaries, whatever the reason, we will do our utmost to make it truly memorable – entrust us with your special day and you’ll have barging memories that will last a lifetime. Theme Cruises We can arrange a wide selection of themed charter cruises which will appeal to all types of groups, large or small and centred around interests, from local culture and gastronomy, to more active pursuits such as golf and walking. Wine Appreciation Cruises These are available where we cruise through the wine regions of France or Italy. Our wine expert will conduct tastings on board your hotel barge and also take you to renowned vineyards for private tours and tastings, often of some of the finest wine available, including premier and grand cru vintages. These are ideal for larger groups – perhaps friends, or a multigenerational family, a wine club, a party of golfers, or even a company incentive group – who require more cabins than a single vessel can provide. Planned in advance, on certain cruise routes, we can position two hotel barges together, allowing as many as 20 passengers to cruise in tandem. And for lovers of the single malt, we have created our own Whisky Trail Cruise in Scotland, with fascinating tours and tutored tastings in a number of Highland distilleries. Treat yourself to a wee dram! Scotland, Ireland, England and France all have great golf courses such as Royal Dornoch, Wentworth and Galway Bay to inspire every keen golfer. Tee times can be arranged so that you can play a memorable round of golf and return to your hotel barge for a few hours cruising. Combining eligible "Back to Back" cruises is a fantastic way to extend your trip and discover multiple regions, some of our most popular being a dual Burgundy & Champagne cruise through the heart of France, experiencing the best of each world renowned wine region. Or perhaps following in the footsteps of Rick Stein and enjoying the culinary offerings of both Bordeaux and the Canal du Midi. Culinary Cruises These cruises in Burgundy and the Midi will appeal to lovers of fine food interested in understanding the preparation and processes behind the region’s most exquisite dishes. There will be a tour with your chef of the famous food market in Dijon or Narbonne, visits to local producers of cheese, honey or olive oil, a hands-on cooking class and demonstrations by your on board chef. Other Theme Cruises Other theme cruises are also available during our season with specially constructed itineraries, from Royal Cruises comprising behind the scenes visits to some of England’s finest royal residences, to Opera Cruises in the acclaimed Veneto region of Italy. Walking and Biking theme cruises are also extremely popular - as outlined on page 28. Whichever hotel barge you choose, you can be assured that a lot of thought and care has gone into the interior design and furnishings to create a welcoming and relaxed atmosphere on board, reminiscent of a ‘floating boutique hotel’. Exceptional Service Our English-speaking crews, mainly British or French, pride themselves on their level of personal service and attention to detail. Their skill is in anticipating your every need, so that you really relax during your cruise. Our hosts and hostesses will be there to prepare your favorite cocktail and at the dining table, describe the characteristics of every wine and cheese as they serve them with care. Your experienced Captain will impress you with his ability to guide the impossibly large vessel into the smallest lock and under the lowest of bridges with just inches to spare. He may even let you try your hand at steering on a less challenging stretch of canal! Your chef will delight you with culinary creations that feature the best locally-sourced ingredients and he/she has the experience and imagination to produce dishes that cater to your specific dietary requirements. Usually, our chefs will also be pleased to show off their skills with a cooking demonstration in the galley. The Accommodation In the saloon and dining areas of your hotel barge, you will see that traditional features such as African hardwood panelling, antique furniture and period lighting are complemented by more modern features such as hand-woven rugs and beautiful banquette seating - along with expected creature comforts such as air-conditioning and central heating. There is Wi-Fi on board, a sound system, a selection of books and games and on some barges, a TV/DVD player in the saloon or cabins. Most of the barges have a spa pool on the sun deck and there is also, of course, an open bar stocked with a wide range of alcoholic and soft drinks. Your vessel may also have a demonstration galley, or a wheelhouse observation area. The accommodation on each barge ranges from compact and charming twin and double-bedded Staterooms, to more spacious suites â&#x20AC;&#x201C; but all with closet and drawer storage and private en suite shower rooms. For any cruise, you can select a specific cabin, particularly if you book early. A Gastronomic Experience Gourmet cuisine and fine wines served with care in a relaxed and charming setting. The classic traditions of French and International haute cuisine are a true highlight of your cruise. Our chefs are experienced, highly-trained culinary artists, whose gastronomic creations are often rated higher by our discerning clients than those they have sampled in top restaurants. The Finest Ingredients To give you a true taste of the region you are cruising through, your chef will create mouth-watering menus using the finest ingredients from local markets and specialist suppliers. In Burgundy you may be served a fillet of locallyreared Charolais beef, while on one of our Midi barges the chef may prepare a seafood platter of shellfish fresh from the harbourside. In Scotland, locally-sourced game and wild salmon are a feature of the fayre and on a cruise in Italy you will certainly savour the very best home-made pasta dishes. The Chefs As well as procuring from markets and local suppliers, our chefs may use herbs grown in onboard window-boxes. Sometimes they even bargain with lock-keepers along the way for fruit and vegetables freshly-picked that day. Before every gourmet meal, to whet the appetite your chef will come to the table to describe personally the menu he or she has prepared. And if you are a real ‘foodie’, the chef will be happy to give you a demonstration and offer some useful tips, perhaps on how to make the silkiest of sauces, or produce the perfect soufflé. Our chefs are also very happy to accommodate requests for vegetarian or other special diets, which should be made at the time of reservation. The Wines To enhance the immersive gastronomic experience, your host for each lunchtime or evening meal will take the time to outline the characteristics of each accompanying wine before serving it with care. It may be a smooth Santenay Premier Cru from southern Burgundy, or a dry Sancerre; a crisp and flinty Chablis, or an aromatic Riesling Grand Cru from Alsace, each wine has been chosen to marry perfectly with the food. The Cheeses During your cruise, you will have the opportunity to sample many different cheeses, each with a rich local heritage. Again, your host will take the time to describe every cheese's individual qualities - from the creamy products of France such as Époisses and Chèvre au Poivre, to the memorably named delights of Scotland and Ireland, such as Black Crowdie and Cashel Blue. And let’s not forget the flavoursome cheeses that Holland and Italy have to offer. Whether you are a gourmet, wine enthusiast, or cheese lover – or maybe all three! – we are passionate about ensuring the gastronomy on board every hotel barge gives a true insight into the very best a region has to offer. Many of our cruises are through some of the best wine-growing regions of France, such as Burgundy, Bordeaux, Languedoc-Roussillon, Champagne and Alsace. We have developed strong relationships with many renowned vineyards over more than 30 years, seeing a new generation of viticulturers combining modern techniques with ageold processes. There is something to please every palate and during your cruise you will enjoy a wide selection of wines, all served to pair with your meals. And for those of you aboard our hotel barges in Scotland and Ireland which are too far north for â&#x20AC;&#x153;the grapeâ&#x20AC;?, there will be distillery tours and private tastings to savour the wonderful whiskies of the Celtic world. From the full-bodied Côte de Nuits and Vosne Romanée vintages of Burgundy to the Minervois, Corbieres and Côtes de Roussillon wines of Southern France; from the crisp, dry white wines of Sancerre and Chablis to the distinctive Rieslings of the Alsace and Moselle regions, and of course, Champagne. There are visits to some of the most renowned domaines of the Côte de Nuits, Chablis and Sancerre regions, as well as to smaller family-run vineyards such as the 14th century Château de Perdiguier in the Midi and Villa Widmann-Borletti in the Po Valley in Italy. Enriching Excursions Daily escorted visits to fascinating local places of interest. Each hotel barging destination has been carefully selected so that its wonderful scenery, local history and charming cultural highlights perfectly complement your cruising experience along Europe’s beautiful inland waterways. Vineyards and Wine Tastings Whether you are a connoisseur or simply know what you like, our cruises have a lot to offer when it comes to discovering the wines of a region. You will experience private tours of long-established domains, immersing yourself in the art of great wine-making and sampling the sumptuous results. You may also visit a producer of fine Burgundies such as Bouchard Père et Fils in Beaune, a renowned grand cru domaine in St Émilion, or a smaller, family-run vineyard in Corbières, such as Château Cabezac. UNESCO World Heritage Sites Often, our cruises include visits to UNESCO World Heritage Sites. These places of special historical interest include the Abbaye de Fontenay, Reims Cathedral, the hilltop town of Vézelay and the Canal du Midi in France. On the Italy itinerary, there is of course Venice, as well as the cities of Mantua and Ferrara. Private Stately Homes We arrange visits to a number of privately-owned stately homes, castles and other residences. At some of them, such as haunted Leap Castle in Ireland or the Villa Ca’Zen in Italy, you will even be given a tour by the owners themselves. Villages, Towns & Cities Our hotel barges cruise past many charming waterside villages en route where you can discover all sorts of little shops and market stalls selling unusual, artisan products. On our tours of elegant places such as Dijon, Strasbourg and Narbonne, there is time to wander the cobbled streets and browse the shops for that perfect gift or memento of your cruise with us. vibrant local markets where stall-holders are selling an astounding array of their fresh produce. There may also be visits to see some of the artisan producers at work and of course to sample their wares! Perhaps an olive oil press in the Midi, or a family-run bakery in Alsace. Aperitifs & Digestifs For the ‘tipplers’ amongst you, we take you on visits to local drinks producers, such as an Armagnac producer in Gascony and the Noilly Prat vermouth distillery in the Midi. On our Scotland cruises, there is a tour and tutored tasting at the Glen Ord distillery, which also features in our 4-distillery Whisky Trail itinerary for charter groups of single-malt lovers. Famous Film Locations For film buffs, we also visit some famous film locations, such as the village of Flavignysur-Ozerain in Burgundy (‘Chocolat’); Eilean Donan Castle and Glencoe in Scotland (James Bond’s ‘The World Is Not Enough’ and ‘Skyfall’) and Highclere Castle ('Downton Abbey') in England. Battlefields, Castles and Châteaux Some of our cruises include tours of bygone battlefields – Culloden Moor and Glencoe in Scotland; the World War Two battleground at Wingen-sur-Moder in Alsace; Alesia in Burgundy, where the last battle between the Gauls and Romans took place in 52 B.C. For architecture and history lovers we visit gems such as Cawdor Castle in Scotland, Château de Bazoches in Burgundy, or in Italy, Mantua’s magnificent Ducal Palace. On many cruises, you may also visit some renowned art and craft locations – perhaps the René Lalique Glass Collection in Alsace, the Stanley Spencer Gallery at Cookham by the River Thames, or the Faience pottery factory in Gien. Comfort and Convenience Your barge’s ever-present, air-conditioned minibus is always there to take you on tour in comfort, while some visits are just a short walk away from the mooring. Each excursion, conducted in English, is usually led by a crew member - the Captain or Deckhand/Tour Guide - who will have some interesting facts and amusing stories to recount about the places you visit. Our well-travelled passengers have usually seen many of Europe’s more famous sights, but on each hotel barge cruise we aim to show you something new as part of a unique insight and immersive experience through one of Europe’s heritage-rich regions. Authentic and Immersive As your barge sedately makes its way along one of the waterways of France, Scotland, Holland, or perhaps Italy, you will have the opportunity to visit hidden places and meet local people from all walks of life. These ‘Insider Experiences’ are unique and personalised and each one offers the chance to uncover a true slice of local life. These forays to get ‘under the skin’ of local culture and history are not always shown in our published itineraries and many are impromptu, depending on the occasion and the interests of the guests on board. A Taste of the Good Life Local gastronomy is also a firm feature of our Insider Experiences. You may find yourself enjoying oysters with some chilled Picpoul de Pinet at an oyster farm as the sun sets over the sea in the Midi, or perhaps visiting an artisan chocolatier in her home to learn more about the expert art of chocolate making – and of course sampling the end product! Heritage and History Many of the diverse waterways we cruise in Europe have fascinating histories and you will be able to find out more from some of the interesting characters who work and live on them. A private visit to a boatyard on the Royal River Thames to see craftsmen hand-building traditional river craft will be a real education, while an hour or so aboard an open wooden boat on the River Loire enjoying a glass of white wine with the owner may be another enjoyable diversion. Local Culture and Music And don’t be surprised if one balmy evening as you are enjoying a pre-dinner cocktail with your fellow passengers, you are put ‘in the mood’ by a local jazz band. Or more dramatically still, serenaded by a bag-piper in full traditional regalia on the misty banks of a loch in the Scottish Highlands. Become an Insider Our guests are often sophisticated, knowledgeable travellers who have already seen all of the most famous sites in the countries we cruise. Now they want to explore those out-of-the way places and take ‘the path less travelled’, to meet hosts whose only guests are our guests. Hotel barging devotees who are keen to discover the real heart of Europe away from the madding crowds and tourist traps, will find that our Insider Experiences really do add to the intimate nature of their ‘gentle voyage of discovery’. One of the joys of a voyage of exploration aboard a hotel barge is that your vessel is only a few feet from the towpath, with the opportunity to step off and stretch your legs whenever you wish. Perhaps a brief afternoon stroll is in order to work off the calories from an indulgent lunch, or a further investigation of the idyllic countryside on one of the bicycles provided. In any case there is often the chance to hop off and explore those unique canal side locations that you simply wouldn't encounter anywhere else! ‘A Bicycle Made for You’ Every vessel in our fleet carries easy to ride, all-terrain bicycles for your use and helmets are also provided. Our crew members are there to offload them at the next lock or at one of the barge moorings and to make any adjustments to each bicycle to suit the rider. We can also provide children’s bicycles for family groups, or tandems for the romantics amongst you. Then you are free to set off along the towpath. Time to Explore You may only wish to pedal a mile to the next pretty lock and wait for the barge to catch up; you may be tempted to ride into a local village to look at a charming old church, or to just sit at the village square café with the locals. If the idea of a little pedalling appeals, our reservations team can advise you on the biking opportunities for each cruise itinerary. Biking Charters For more committed cyclists, we can offer biking charters for groups over longer distances on upgraded bikes, with half-day guided itineraries that make the best of the local area each day, perhaps including a picnic in the countryside. "Biking Plus" For those passengers who would like to be a little more adventurous than just riding along the nearby towpath, a number of our hotel barges offer a “Biking Plus” option, when you can take a bike on most days and follow an interesting, but not too challenging route which we have carefully researched. With clearly marked maps and a backpack, you can explore the surrounding countryside and villages along the lanes, towpaths and byways for an hour or two. If you get stuck or lost, a crew member will come to fetch you. Otherwise, you can just rejoin the hotel barge where you left her, or maybe a little further along the canal. And reassuringly, the itinerary is arranged so that you won’t miss any of the organised excursions or much of the cruising. A Walk Nearby… The beauty of hotel barging and walking is that two very relaxing activities are merged to give you the best of both worlds. From the moment you arrive at your vessel, you can explore the nearby surroundings at leisure on your own, or with your new-found ship-mates. An evening stroll along the towpath is a great way to sharpen your appetite for the next gourmet dinner on board. …or Further Afield Throughout the season, walkers can combine a hotel barge with some easy hiking – perhaps along the Great Glen Way in Scotland, the footpaths of Ireland, or in picturesque Burgundy in the Autumn when the colours of the vineyards are at their finest. In fact, walking groups return to us time and again to enjoy this satisfying blend of gentle exercise and relaxing indulgence. Whatever your chosen method of perambulation – on foot or on two wheels - you will have seen a little more of the people and places around you - and done yourself some good at the same time! Burgundy The wine-growing region of Burgundy lies at the very heart of rural France with a rich and unique history. Burgundy Burgundy boasts some of the world’s finest wines with around 60,000 acres of sunlit vines and arguably the prettiest canals in France. These canals wind their way in smooth curves through the heart of renowned wine growing areas such as Chablis, Côte de Beaune and Côte de Nuits, sometimes rising steeply through a flight of locks that appear like staircases. The Nivernais Canal meanders along with the picturesque River Yonne, through a largely undiscovered region near the Morvan Hills, passing sleepy villages and Charolais cattle grazing in the lush pastures. This is the original home of hotel barging with its hand-swung bridges and old logging sites, and where time seems to have stood still for centuries. The landscape around the Burgundy Canal is one of rolling hills covered in forests of oak, maple and pine and where spring, summer and autumn each leave a unique signature. Medieval towns are surrounded by unspoilt countryside and the wonderful markets have stalls brimming with fresh local products cultivated on the fertile plains. In southern Burgundy, the smooth-flowing River Saône links the Burgundy Canal with the charming Canal du Centre which weaves its way through a landscape of vineyards producing renowned wines such as Santenay, Montrachet and Meursault. Burgundy’s gastronomic tradition is certainly rich and diverse and a sedate cruise on a hotel barge along one of its delightful waterways will allow you to indulge in good food and wine, two of the real pleasures in life. La Belle Epoque in her first life carried logs from Burgundy to Paris, but today she is transformed into a deluxe hotel barge carrying a very different cargo along the same canals. She has been designed with both elegance and passenger comfort in mind and her welcoming features include a wood-panelled saloon/dining room with bespoke, hand-built seating and a spacious sun deck with spa pool. The comfortable cabin accommodation comprises two junior suites and four staterooms and a choice of twin or double beds, all with marble en suite facilities. La Belle Epoque is the perfect vessel to take you on a gentle voyage of discovery through a region studded with tradition and history that goes back centuries. As she meanders along the Burgundy Canal with its undulating countryside, you will find that the towpath is always there for spot of walking or cycling. ITINERARY Venarey-les-Laumes to Tanlay Day 1 Venarey-les-Laumes Guests are met at The Hotel Westminster in Paris and transferred by private chauffeured minibus to La Belle Epoque where a champagne welcome awaits. Dinner on board. Day 2 Venarey-les-Laumes to Montbard This morning we cruise through a variety of picturesque pastoral villages to our mooring at Montbard. After lunch, we enjoy a visit to the hilltop village of Flavigny-sur-Ozerain, where the film ‘Chocolat’ was set, or a tour of the medieval town of Semur-en-Auxois. Dinner on board. Day 3 Montbard to Ravières A morning cruise with excellent walking and cycling opportunities, passing the 18th century Forges de Buffon. Afternoon visit to the exquisite UNESCO World Heritage Site of Abbaye de Fontenay, founded by St Bernard in 1118. A serene evening cruise to Ravières, followed by dinner on board. Day 4 Ravières to Ancy-le-Franc Following breakfast aboard we head to Les Riceys, the only wine growing area of the Champagne region to have 3 Appellation d’Origine Contrôlées. Here we visit the Maison Alexandre Bonnet for a private champagne tasting in this truly elegant setting. Next we take a short drive to Château de Ricey-Bas for a gourmet lunch with the Baroness herself, which we take in either the private salon or the atmospheric vaulted 13th century kitchen. This afternoon we cruise on to our mooring at Ancy-le-Franc. Dinner on board. Day 5 Ancy-le-Franc to Lezinnes This morning we tour the stunning Château d’Ancy-le-Franc, renowned for containing France’s biggest collection of Renaissance murals. In the afternoon, a gentle descent through the picturesque locks to moor at Lezinnes. Dinner on board. L’Art de Vivre is the oldest hotel barge in our fleet and was built in England during World War One as a supply vessel to the Allied troops battling in the Somme. Today her life is a little less dramatic as she cruises one of France’s longest-established canals, the Canal du Nivernais. She is very much a traditional barge in style, with original wood and brass features that emphasise her heritage and create a warm and inviting interior atmosphere. The comfortable, compact cabins all have modern en suite facilities and the delightful saloon combines contemporary seating with more traditional furnishings. Outside, there is a sun deck to relax on with a glass of wine as you glide through the pretty Burgundy countryside and a spa pool to soak in. You can explore the ever-present towpath on foot or on one of the barge’s bicycles, before rejoining L’Art de Vivre at one of the locks up ahead. This region of Burgundy, on the edge of the Morvan hills, with its charming villages and centuriesold history simply oozes charm and your cruise aboard L’Art de Vivre is a journey back in time along a magical waterway. Day 1 Auxerre Guests are met at The Hotel Westminster in Paris and transferred by private chauffeured minibus to L’Art de Vivre. Following a champagne welcome, you are free to take a stroll to Auxerre or along the banks of the River Yonne before returning for dinner on board. Day 2 Auxerre to Vincelles Our morning cruise takes us through some delightful locks to our rural mooring at Vincelles. The afternoon excursion is to Chablis, world famous for its white wines. Enjoy a tasting in one of the town’s aged cellars before dinner on board the barge. A supremely refined vessel, L'Impressionniste offers an onboard ambience that combines traditional and modern French influences to ensure that you cruise in style and comfort. Her light and airy interior features picture windows and prints reminiscent of the era after which she has been named. In the spacious saloon with its rich-coloured teak flooring and soft lighting, there are balloon-backed dining chairs and elegant banquettes that complete the effect. The cabins, each one bearing the name of a renowned Impressionist painter, offer a choice of accommodation in two large junior suites or four amply sized staterooms, complemented by modern en suite shower rooms. Twin or double bed configurations are also available. L’Impressionniste glides gently through the picturesque Ouche Valley in Southern Burgundy through locks with their charming lock-houses. You will see medieval villages perched on hilltops and have the opportunity to discover a region famed for its history and viticulture, with visits to such places as Beaune, the local ‘wine capital’, and the elegant city of Dijon. ITINERARY Fleurey-sur-Ouche to Escommes Day 1 Fleurey-sur-Ouche Guests are met at The Hotel Westminster in Paris and transferred by private chauffeured minibus to the elegant L’Impressionniste where a champagne reception and gourmet dinner awaits them. Day 2 Fleurey-sur-Ouche to Sainte Marie-sur-Ouche This morning, we cruise along this enchanting canal past sleepy villages and pretty lock houses. After lunch we visit Clos de Vougeot for a tour of the iconic cellars and a private tasting of fine Burgundy wines at another long-established domaine. Dinner on board. Day 3 Sainte Marie-sur Ouche to La Bussière After breakfast, we enjoy a walking tour of old Dijon with its impressive Notre-Dame de Dijon, vivid produce markets and ample shopping opportunities. Lunch on board is followed by a leisurely afternoon cruise to La Bussière. Dinner on board. Day 4 La Bussière to Pont d’Ouche After a short morning cruise, we take a drive through the vineyards to the lauded “vigne de l’enfant Jesus”, where a wine expert gives us a real insight into the production of their finest wines. We continue to the wine capital of Beaune, for a winery tour, private tasting and a gastronomic lunch at the Château de Beaune, owned by Bouchard Père et Fils since 1820. Afterwards, we visit the fascinating 15th century Hôtel-Dieu Hospice and explore the town, before a short evening cruise and dinner on board. Day 5 Pont d’Ouche to Vandenesse This morning we cruise to Vandenesse-en-Auxois, crossing the only aqueduct on the Burgundy Canal. Lunch is served aboard, before we visit the medieval village, craft shops and castle of Châteauneuf-enAuxois, which offers a fine overview of the pastoral surroundings. Dinner on board. Day 6 Vandenesse to Escommes Our final cruise takes us to the canal summit, 1,250 feet above sea level, just before the Pouilly tunnel. This afternoon we are escorted around the moat encircled Château de Commarin by none other than Count Bertrand de Vogue, the current resident and 26th generation of the de Vogue family to maintain continuous residence at the château since the 13th century. Captain’s Farewell Dinner on board. Day 7 Escommes After breakfast, guests are transferred to Paris. Finesse is a double-decker hotel barge that was built to exacting standards with luxury in mind, enhanced by her modern public areas and very spacious cabin suite accommodation. The well-designed public areas include a saloon with contemporary furnishings and panoramic windows where the emphasis is on making the most of the natural light. There is also a demonstration galley where guests can watch their chef preparing delicious gourmet meals. Outside, guests can relax on the large sun deck with its alfresco dining area, comfortable seating and spa pool. The four cabin suites, which can be in twin or double-bedded configuration, are very spacious (approx. 265sq ft including en suite), each one air-conditioned and with a beautifully appointed shower room. Finesse is the perfect vessel on which to cruise the meandering waterways of Southern Burgundy past vineyards and charming canalside villages, and to discover fascinating places along the way such as Autun, Beaune and Dijon. St-Julien-sur-Dheune to St-Jean-de-Losne Day 1 St-Julien-sur-Dheune Guests are met in Dijon and transferred by private chauffeured minibus to Finesse where a champagne welcome awaits them. Then there is time to wander along the towpath and admire the classic Burgundy scenery before dinner on board. Day 2 St-Julien-sur-Dheune to St-Léger-sur-Dheune This morning, we cruise along the Canal du Centre to St-Leger-surDheune, descending a series of 11 locks along the way. After lunch on board, we visit the 14th century Château de Germolles, with its ducal chapel, medieval wall paintings and romantic gardens. Dinner on board. Canal du Midi The Midi - a land with rich heritage, diverse Mediterranean landscapes, sun-drenched vineyards and Cathar fortresses. Canal du Midi The 330-Year-Old Canal du Midi skirts the sun-drenched shore of the Mediterranean before meandering inland through the fabled 'Cathar Country', with its fortified hilltop villages and walled cities, such as Carcassonne. This historic canal, a UNESCO World Heritage Site, is defined by its beauty, lined with plane trees, canalside villages and crossed by pretty, arched bridges. The warm Mediterranean weather and gentle pace of life lulls you into unwinding as your hotel barge slowly cruises along this serene waterway. This is the perfect place for cycling or walking along the ever-present towpath, or simply watching the scenery drift by as you relax on deck with a cool drink. In the distance you can see the Pyrenees, while closer to hand are the vineyards of the Languedoc that seem to stretch endlessly all around. You will discover a marvellous blend of ancient Gallo-Roman and traditional influences reflected throughout this region of historical importance and visit such places as Pezenas, Minerve and Narbonne. The cuisine is a delicious combination of Provençale and Mediterranean flavours. Fresh seafood and regional specialities, paired with the excellent local Corbières and Minervois wines, produce an unforgettable repertoire of dining experiences. ITINERARY Marseillan to Le Somail Day 1 Marseillan to Bagnas Guests are met in Narbonne and transferred by private chauffeured minibus to Anjodi where a champagne welcome awaits them. Enjoy a stroll round picturesque Marseillan or a visit to the local oyster farm before dinner on board. Day 2 Bagnas to Villeneuve-les-Beziers This morning we cruise along the 330-year-old Canal du Midi through the beautiful Bagnas nature reserve. After lunch on board, we visit Pezenas, the delightful Languedoc capital famed for its associations with the French playwright Molière. Optional visit to a Mediterranean beach before dinner on board. Day 3 Villeneuve-les-Beziers to Malpas After breakfast, we ascend the 7-lock flight of unique oval locks at Fonserannes to arrive at our mooring at Malpas. This afternoon, we enjoy a winery tour and tasting at the 14th century Château de Perdiguier, famed for its frescoes and Cabernet Sauvignon, Pinot Noir and Chardonnay wines. Dinner on board. Enchanté is a spacious, double-decker hotel barge that has been built to the highest standard to offer a stylish on board ambience that is perfect for enjoying a cruise through this sun-drenched region. The hotel barge is tastefully furnished in a contemporary style, creating a bright, art deco atmosphere. She has a large saloon with outstanding attention to detail, including an open-plan demonstration galley where guests can see their skilled chef at work. The luxurious air-conditioned accommodation is in four equally spacious twin or double-bedded suites, the largest of any hotel barge on the Canal du Midi and all with superbly appointed en suite shower rooms. Outside, the spacious sun deck boasts an alfresco dining area, a gorgeous spa pool and comfortable loungers to relax in while the countryside drifts slowly by. Enchanté is a hotel barge that offers an alluring blend of luxury and modernity. She is a vessel that will charm any discerning traveller on her sedate journey through the Midi countryside. In her saloon there are comfortable sofas and an elegant dining area, while the five air-conditioned, twin/double-bedded staterooms each have all modern comforts including an en suite shower room. Outside, her spacious sundeck has an adjustable canopy to offer shade, comfortable hardwood deckchairs and for the more energetic, bicycles to explore the towpath. Athos is one of the most traditional hotel barges cruising the ITINERARY Canal du Midi and her welcoming ambience will make your Argeliers to Marseillan voyage through the Languedoc landscape truly memorable. Day 1 Argeliers Guests are met in Beziers and transferred by private chauffeured minibus to Athos where a champagne welcome awaits them. Dinner on board. Day 2 Argeliers to La Croisade Breakfast aboard before we drive to the famous medieval double-walled city of Carcassonne where you will enjoy a guided tour. Lunch aboard the barge followed by an afternoon's cruise to La Croisade, with plenty of opportunity to walk or bicycle along the towpath. Dinner on board. Day 3 La Croisade to Capestang After breakfast, we enjoy a tasting at “L'Oulibo”, the local olive oil press. Next it’s a short drive to Minerve, the ancient capital of the Minervois, which boasts a 12th century Cathar fort surrounded by deep limestone gorges. Relax after lunch on board, whilst we cruise to Capestang, or you can enjoy a wine tasting at a local château, such as Château Cabezac. Dinner on board. Day 4 Capestang to Fonserannes This morning’s excursion is to Narbonne, where we tour the Archbishop’s Palace, Cathedral and Via Domitia and explore the indoor market. After lunch in the atmospheric market, we return to Athos and cruise to Fonserannes. Dinner on board. Gascony & Bordeaux A region of vividly colourful landscapes, wonderful gastronomy and a 'terroir' that produces world-renowned wines. Rosa is an old Dutch “Clipper” barge that was built early in the last century to carry cargo on the offshore waterways of Holland. Now, as a charming hotel barge, she navigates the much calmer canals of southwest France. The pretty, wood-panelled saloon has comfortable seating, a dining area and bar, and the four cosy, air-conditioned staterooms have full en suite facilities. Outside there is a spacious sun deck with parasols and comfortable loungers to relax in. Rosa also featured with Anjodi in the successful television series, Rick Stein’s French Odyssey and you will be able to enjoy your own personal ‘odyssey’ through this captivating part of southwest France. Gacony Initially part of the historic dukedom of Gascony, this region is famed for its outstanding pastoral vistas and rich culinary traditions. Expect quaint farms, villages untouched by time and a spectacular palette of tastes, scents and colours. The Bordeaux region with its "special terroir", has been producing astonishing wine for around 2,000 years, though it may just be the stunning châteaux, eclectic markets or artistic past-times that you fall in love with. Day 1 Montauban Guests are met in Toulouse and transferred by private chauffeured minibus to Rosa where a champagne welcome awaits them. Dinner on board. Day 2 Montauban to Montech This morning Rosa meanders up a flight of nine locks to moor in the little town of Montech. In the afternoon we head into the Côtes du Frontonnais wine region for a tasting at the renowned Château Bellevue la Fôret. Dinner on board. Day 3 Montech to Castelsarrasin After breakfast, there is a guided tour of the inclined Water Plane, an amazing feat of engineering that by-passes five locks. Then, following a morning cruise to Castelsarrasin, we take a short drive to the Abbaye de Belleperche, where we see a fascinating exhibition. Dinner on board. Day 4 Castelsarrasin to Moissac This morning we cross the River Tarn via the 1,000 foot long aqueduct and descend towards our mooring at Moissac. After lunch we cruise to St. Livrade for an optional afternoon’s swimming or canoeing, and visit the UNESCO-classified 7th century Abbaye St-Pierre de Moissac. Dinner ashore at ‘Le Florentin’ restaurant. Day 5 Moissac to Pommevic This morning we visit Castelsarrasin's market before cruising through Moissac and across the swing bridge to our mooring at Pommevic. After lunch, we visit the 11th century Château de Goudourville before a drive to Auvillar, a 15th century village atop a gorge above the River Garonne. We then visit Valence d'Agen and enjoy a tour of this old "Bastide" town. Dinner on board. Day 6 Pommevic to Boé A morning cruise through the bucolic countryside to our final mooring at Boé. After lunch, we visit Domaine de Lapeyrade for a tour and private tastings of their Armagnac and Floc du Gascogne wines before visiting the medieval town of Nérac and its castle, once home to Henry IV of France. Captain’s Farewell Dinner on board. Day 7 Boé After breakfast, guests are transferred by private chauffeured minibus to their choice of location in Toulouse. Loire Valley A fairytale region of exquisite Renaissance chĂ˘teaux, Royal French history and contrasting waterways. The Loire Valley The River Loire and its main tributary, the River Cher, have carried cargo and passengers for over 2,000 years, since pre-Roman times. The Valley of the Kings is a timeless region of spectacular beauty and grace and we are delighted to offer the only hotel barge navigating the heart of the real Loire Valley. Here, the aristocracy of France have built their castles and palaces over the centuries and you will have the opportunity to visit architectural gems such as the châteaux of Villandry, Valencay and, most memorably, Chenonceau - which Nymphea actually cruises under! Private tastings of Touraine and other fine local wines are also a highlight. Further east, the upper reaches of the River Loire meet Western Burgundy where France's oldest canal, the Canal de Briare, crosses the mighty river by way of Gustav Eiffel's spectacular aqueduct. A cruise on this canal aboard the opulent hotel barge Renaissance offers a taste of the Loire with visits to elegant châteaux, as well as a foray into the vineyards of Sancerre. Luxury Hotel Barge La Nouvelle Etoile also cruises in this region, for details of her route please visit our website. Filet Mignon de Veau aux Champignons de Saumur; Feuilleté de Crottin de Chavignol, Filet de Sandre Sauce Échalotes et Persil, Friture d'Éperlans Sauce Tartare. Domaine Clément Lissner, Riseling Grand Cru; Domaine Jean Teiller, Menetou-Salon; Domaine Mabileau, Saint Nicolas de Bourgueuil; Domaine Sainte Eugénie, Le Clos Corbières. Valencay; St Maure de Touraine; Selles sur Cher; Pouligny St Pierre; Crottin de Chavignol; Ami du Chambertin; Chabichou du Poiton; Epoisses. Renaissance has been designed to carry her guests in ultimate luxury along the Canal de Briare, France’s oldest canal, completed in 1642 and steeped in history on a cruise route that features elegant châteaux, small countryside villages and the famed wine-growing region of Sancerre. She is a very spacious hotel barge and the beautifully-appointed saloon with its wooden beams, classic dining furniture and artwork, invokes the atmosphere of a classic French manor house. The comfortable leather sofas and hand-built bar where you can enjoy your pre-dinner aperitif, add to the feeling of onboard opulence. The ‘Renaissance mood’ extends to the four very generously-sized twin or double bedded bedroom suites, (approx. average 250sq ft including en suite), each one fully air-conditioned and complemented by a large en suite shower room. Outside, the large forward deck includes a covered roof extension with a circular table for alfresco dining, comfortable hardwood sun loungers and a heated spa pool. With her refined onboard ambience, Renaissance is the perfect vessel on which to cruise a historic canal and experience the splendour of landmarks en route, including Gustav’s Eiffels’s aqueduct across the mighty River Loire. Nymphea’s Dutch design with its shallow draft makes her the ideal vessel for navigating the beautiful sandy reaches of the River Cher in the Loire Valley. No other hotel barge cruises this magical waterway. Her traditional interior, reminiscent of a classic yacht, features a warm decor of rich varnished hardwoods, stained glass and shining brass. The traditionally furnished saloon and dining area have a warm and welcoming country house atmosphere and there is an additional upper saloon area with more comfortable seating to relax in. Nymphea has three compact, but comfortable cabins, two twin staterooms and one twin or double stateroom, all with air conditioning and en-suite facilities. Outside, the sun deck offers the perfect vantage point from which to admire the next picturesque waterside village, elegant château, or stunning stretch of scenery as it slowly comes into view. You will even get to cruise through the arches of probably the most-photographed château in the Loire Valley, Château de Chenonceau – not once, but twice – a rare privilege afforded to very few boats! And if you wish to explore the River Cher’s towpath and surrounding countryside, there are 6 bicycles available for your use. Nymphea’s crew of Captain/Tour Leader and Master Chef are most knowledgeable about the history, wine and cuisine of the region and they will be there to help make your journey through the ‘Valley of the Kings of France’ truly unforgettable. ITINERARY Moulin de Nitray (Round Trip) Day 1 Moulin de Nitray Guests are met near Tours and transferred by private chauffeured minibus to Nymphea where a champagne welcome awaits them. Dinner on board. Alsace & Lorraine A unique blend of French and German cultures, storybook villages and wonderful white wines. In the Summer and Autumn, Panache cruises the beautiful and varied waterways of Alsace & Lorraine, a region of France offering a unique mix of French and German cultures, history and local gastronomy. Panache is a hotel barge that has been fitted out in traditional yacht style with brass and mahogany fittings in the spacious public areas and very comfortable cabin accommodation. In the saloon the panoramic windows let in plenty of natural light, and the tempting cocktail bar and comfortable leather sofas are enhanced by polished hardwood flooring and separate dining area. The cabin accommodation comprises six generously sized junior suites, all with en suite bathrooms that have twin hand-basins and oversized showers. Outside, the spacious sun deck is the perfect place to unwind and admire the passing scenery from one of the comfortable chairs, whilst the heated spa pool and chilled glass of champagne completes the picture. Panache’s voyage through Alsace & Lorraine will give you the opportunity to appreciate the very best of the region, passing storybook villages along the way and even experiencing Europe’s most famous boat elevator! La Nouvelle Etoile (see page 93) also cruises in Alsace & Lorraine in late Summer. Champagne The Champagne region - a mosaic of sloping vineyards beneath expansive skies and home to the eponymous sparkling wine that excites the senses. The River Marne flows from Epernay to Paris, meandering through the beautiful region of Champagne. There is a plethora of vineyards spread across the undulating plains as far as the eye can see and there will be plenty of opportunity to sample the sparkling wine to which the region has given its name, including private tastings at renowned champagne houses. This is also a part of France that is rich in both modern and ancient history and during our voyage we visit a number of significant landmarks, châteaux and one of the finest Gothic cathedrals in the country where 25 kings of France were crowned. As well as Champagne, the region is rich in other delicious products, particularly its wonderful creamy cheeses, with the towns of Meaux and Coulommiers at its heart. You can cruise the Champagne region aboard the 12 passenger hotel barge Panache (see page 66), or the 8 passenger hotel barge La Nouvelle Etoile (see page 92). Day 2 Château-Thierry to Dormans This morning, we visit La Maison Pannier, a select champagne house with a labyrinth of medieval underground cellars, for a tour and a private tasting. After lunch, we cruise along the River Marne to the pretty riverside town of Dormans, the site of a château, water mill and World War One memorial. Dinner on board. Day 3 Dormans to Damery This morning we visit the World War One battlefield and monument at Château-Thierry and the American cemetery at Belleau Wood. After returning to the barge and lunch on board, we enjoy a relaxing afternoon cruise along the Marne to our mooring at Damery. Dinner on board. Day 4 Damery to Dizy This morning we continue our cruise along the beautiful River Marne, passing through the champagne vineyards to our mooring at Dizy. After lunch on board, we head into the nearby town of Epernay, home to many of the major champagne houses for a cellar tour and tasting. There is time afterwards to explore the town and to do some shopping. Dinner ashore at a local restaurant. Day 5 Dizy to Tours-sur-Marne This morning, we visit the pretty hilltop village of Hautvillers. Known as the ‘cradle of Champagne’, it is here that the monk Dom Perignon discovered the ‘méthode champenoise’. We enjoy a private tasting of champagnes and matching cheeses at a boutique in the village then return to the barge and cruise to our pretty mooring at Tourssur-Marne, joining the Canal Lateral à la Marne en route. Dinner on board. Day 6 Tours-sur-Marne to Châlons-en-Champagne This morning, we visit the magnificent 800-year-old Reims cathedral, a Gothic masterpiece where the Kings of France were crowned, before some free time perhaps to wander around this delightful city with its grand squares and elegant shopping arcades. After lunch on board, we cruise to our final mooring at Châlons-en-Champagne. Captain’s Farewell Dinner on board. Day 7 Châlons-en-Champagne After breakfast, guests are transferred by private chauffeured minibus to Paris. Holland A kaleidoscope of Springtime colours the historic towns of the Old Masters and fascinating Dutch culture. Cruise the delightful waterways of Holland’s western provinces in the Spring past windmills sitting majestically above the polders. Springtime is, of course, the time of year when visitors have the opportunity to see the tulips at their very best, but lovers of culture also come from far and wide to tour the traditional Dutch cities and their many museums. Delft, Leiden and Haarlem will charm you, just as they did the great Dutch artists. Visitors to Holland are entranced by the vivid colours of the bulb fields and the magnificence of the formal displays such as at the world-renowned Keukenhof Gardens which we visit. Other attractions, including the Royal Delft pottery and Zaanse Schans with its conservation area, are equally memorable. Two of our hotel barges – Panache (see page 66) and La Nouvelle Etoile (see page 92) – cruise the waterways of Holland at the best time of year, in the Spring. Braised Beef Fillet in Juniper Berry and Red Wine Jus; Saddle of Lamb with Eggplant Caviar; Roasted Duck Breast with a Grillotes Sauce. Gouda; Limburger; Leyden; Brokkel Ould; Maasdam; Roomano; Reypenaer; Leerdrammer; Wijngaard; Boeren Truffel Kaas. ITINERARY Alkmaar to Delft Day 1 Alkmaar Guests are met in Amsterdam and transferred by private chauffeured minibus to Panache where a champagne welcome awaits you. Dinner on board. Day 2 Alkmaar to Zaanse Schans Perhaps visit the Alkmaar cheese museum for a tasting, before our first cruise to Zaanse Schans. After lunch on board, we take a tour of Zaanse Schans, an open air conservation area and museum, giving you a vivid impression of the Dutch way of life in the 17th and 18th centuries. Dinner on board. Day 3 Zaanse Schans to Haarlem We enjoy an early morning cruise to the historic city of Haarlem, dating back to the 13th century. After lunch on board, we visit the world famous Keukenhof Gardens, renowned for its 100 acres filled with over 7 million flowering bulbs. Dinner ashore this evening at a local restaurant. The captivating waterways of the Veneto and the Po Valley offer a rare cruising experience, one where centuries of culture, history and nature intertwine. A cruise aboard La Bella Vita on the Venetian Lagoon, River Po and Canal Bianco between Venice and the lakeside Renaissance city of Mantua is a truly magical experience. There is the opportunity to enjoy diverse landscapes and nature en route, from colourful lagoon islands to wild beach dunes and pine woods full of birdlife. The itinerary includes fascinating guided tours of Ferrara, Mantua and Chioggia which give a real insight into the many cultures - Renaissance, Roman, Etruscan, Byzantine - that have influenced this region of Italy for centuries. La Bella Vita is a stylish 20 passenger vessel with a typically modern Italian interior, reflected in the use of vibrant colours throughout to create an atmosphere of casual relaxation. There is an inviting bar area in which to enjoy a glass of Prosecco and a spacious dining room with louvre doors that open to give a perfect view as you are served delicious Italian specialities and wines. She has two upper deck junior suites and eight lower deck staterooms, all air-conditioned and with en suite facilities, while above there is a huge sun deck with a large canopy and comfortable loungers to relax on and watch the world drift by. La Bella Vita also offers special summer Opera Cruises, included will be front stall seats to enjoy an acclaimed opera such as Aida or Carmen in the magnificent setting of the Arena di Verona. ITINERARY Venice to Mantua Day 1 Venice Guests are met at the Hotel Laguna Palace in Mestre or Piazzale Roma in Venice and transferred by private chauffeured minibus to La Bella Vita for a Prosecco welcome. Afternoon cruise along the Giudecca Canal past some of Venice’s most famous monuments before a guided tour of the Doge’s Palace. Dinner on board. Scotland An inspiring land of mountains, glens and famous battlefields, with magical lochs that reflect the legends of the past. The Scottish Highlands The Scottish Highlands are truly magical - a magnificent vista of expansive lochs, formidable mountainsides and historic battlegrounds. We cruise sedately through the Great Glen between Inverness and Fort William, navigating beautiful lochs and the engineering masterpiece that is the Caledonian Canal. Ancient castles perched on the water’s edge, heather-clad hillsides and magnificent views of the surrounding mountains make it arguably the finest inland cruising in the world and an unforgettable experience. Along the way, you will visit places that have featured strongly in the centuries-old history of the region, such as Cawdor, Eilean Donan, Glencoe and Culloden Moor. You will also find out more about Scotland’s best-known export – whisky – on a private tour of a long-established distillery and, of course, taste the ‘water of life’ itself. Cuisine is traditional Scottish fare, with your creative chef preparing dishes using locally-sourced game and beef, wild salmon and seafood paired with a selection of fine international wines. And for whisky lovers there is a wide range of single malt and blended whiskies to savour on board. Scotland’s legends of the past, the taste of single malt and the mythical inhabitant of Loch Ness all contribute to a bewitching charm only experienced in the dramatic Highlands. Munro of Marinated Salmon; Fillet of Aberdeen Angus Beef with a Sherry and Wild Mushroom Sauce; Hickory Smoked Venison with Candied Walnuts and Blue Cheese. The Macallan Gold; Dalwhinnie 15 Year Old; The Singleton of Glen Ord 15 Year Old; Lagavulin 16 Year Old; Isle of Jura 10 Year Old - A wide selection of French and International Wines are also served aboard. Bonchester; Isle of Kintyre Mature Cheddar; Connage Smoked; Scottish Brie; Dunsyre Blue; Black Crowdie; Lanark Blue; Caboc Gruth Du; Strathdon Blue; Sharpam. ITINERARY Muirtown to Banavie Day 1 Muirtown Guests are met at the Glenmoriston Townhouse Hotel in Inverness and transferred by private chauffeured minibus to Scottish Highlander where a champagne welcome awaits you. Dinner on board. Spirit of Scotland is an elegant hotel barge with extensive public areas inside and out that are perfect from which to admire the breathtaking Highlands scenery in comfort as she cruises the Caledonian Canal and the lochs of the Great Glen. Although purpose-built less than twenty years ago as a hotel barge, her style evokes that of the traditional steamers that plied the lochs of Scotland in times gone by. Accommodating up to 12 passengers in comfort, her interior features a bright and spacious saloon and dining area with picture windows, a separate bar, and an integral forward wheelhouse giving views of the cruise route ahead. The 6 air-conditioned cabins offer a choice of twin or double beds and are complemented by well-designed en suite shower rooms. Outside, there are separate areas where you can relax on a recliner, or perhaps in the heated spa pool, as well as a covered dining terrace. And the large upper sun deck is the ideal place to admire the dramatic backdrop as you cruise on deep-water lochs such as Loch Oich and past historic landmarks along the way. Your voyage aboard Spirit of Scotland will be an unforgettable experience, giving you the opportunity to appreciate the very best this dramatic region of Scotland has to offer from a unique perspective. ITINERARY Banavie to Muirtown Day 1 Banavie Guests are met at the Glenmoriston Townhouse Hotel in Inverness and transferred by private chauffeured minibus to Spirit of Scotland where a champagne welcome awaits them. Dinner on board. Magna Carta will take you on a slow, meandering journey along the prettiest stretches of the River Thames, past Royal Palaces and quaint riverside towns and villages – a captivating mixture of olde worlde England and the natural beauty of the surrounding countryside. From Henry VIII’s Hampton Court, past Windsor Castle and on to Henley, with frequent stops allowing plenty of time to wander and explore some of England’s prettiest counties. During the cruise, there is a diverse programme of escorted visits along the way - art galleries, stately homes including the real “Downton Abbey”, even a boatyard that has been building traditional river craft for centuries. Magna Carta's large saloon and dining area feature picture windows and stylish furnishings, and the sense of refined space continues in the four very generous, air-conditioned twin/double suites, with their combination of period furniture and contemporary en suite shower rooms. Outside you can unwind in the heated spa pool, or enjoy a mouth-watering alfresco lunch prepared by your onboard master chef. With a seasoned Captain at her helm, and an attentive crew at your service, take a cruise through history aboard Magna Carta. Roasted Guinea Fowl with Wild Mushrooms; Breast of Duck with Port Sauce and Cherries; Rack of Lamb with a Herb Crust, Sweet Potatoes and Spinach. Don Cayetano Merlot; Reserve de Gassac, Herault; Domaine Michel Thomas, Sancerre; Les Pontilles, Sauvignon Blanc; Baroncini Rosso di Montalcino. Applewood Smoked Cheddar; Double Gloucester; Cropwell Bishop Organic Stilton; Cornish Yarg; Dunsyre Blue Bath Soft Cheese; Sage Derby. ITINERARY Hampton Court to Henley-on-Thames Day 1 Hampton Court Palace Guests are met at the Stafford Hotel in central London for afternoon English Cream Tea, before being transferred by private chauffeured minibus to Magna Carta where a champagne reception awaits them. Dinner on board. The River Shannon and its loughs represent Ireland at its finest and your cruise aboard Shannon Princess features a landscape of rolling green fields, ancient Celtic landmarks and an abundance of wildlife. The renowned legends and fables of Ireland are well understood by the hospitable Irish people, who will be happy to tell you more about Irelandâ&#x20AC;&#x2122;s eclectic history, folklore and ancient traditions. Marvel at their astounding hospitality as you immerse yourself in haunted ancient castles, 6th century ruins, and of course, a pint or two of the 'black stuff' - Guinness. Shannon Princess is the largest hotel barge cruising the River Shannon and its picturesque, intertwining loughs. Her thoughtfully-designed interior includes a comfortable saloon and dining area with panoramic windows. The five junior twin/double staterooms, also with picture windows, are stylishly furnished and each is air-conditioned and accompanied by a modern en-suite shower room. The large rooftop sundeck is certainly the place to relax and watch the countryside glide by, as well as the inviting dining area with circular table to savour that gourmet al fresco meal on warmer days. Revel in the Irish way of life in an enthralling voyage aboard the Shannon Princess, through the heart of an astounding country. La Nouvelle Etoile has been designed to offer a very high level of comfort and convenience, to provide an on board blend of traditional elegance and modern-day facilities. The spacious, air conditioned saloon with its attractive cocktail bar, piano and elegant furnishings provides a truly sophisticated setting, while each of the four generous 215 sq ft cabin suites is lavishly equipped and the en suite bathrooms feature double hand-basins and oversized showers.On deck there is a large sun deck with comfortable loungers and a hot tub. This cruise on the luxurious La Nouvelle Etoile is a journey back in time through a picturesque landscape along delightful canals, and through historic cities. She also cruises in Western Burgundy, Alsace, Champagne and Holland. See pages 58, 66, 70 and 74. If you’re looking for an experience that is different from the “classic canal” cruise we offer a number of voyages of exploration that cover a larger distance in the same time period. From the majestic windmills of Holland to the historical beauty of Belgium, from the “Venice of the North”, Bruges, all the way to the City of Love and Lights, Paris, and through the fairy-tale castles and sloping vineyards of Germany and Luxembourg. The category class refers primarily to the cabins. The service, gourmet meals, wines, escorted excursions and other amenities on board are of a similar standard on all of our hotel barges. (1) L'Impressionniste and Finesse can 'tandem' for larger groups up to 20. (2) Anjodi and Athos can 'tandem' for larger groups up to 18. (3) Other themed cruises are available on request. Getting There Can Often Be Half The Fun! On every hotel barge cruise, wherever it may be, we aim to give our guests authentic and immersive experiences. As your barge sedately makes its away along one of the waterways of France, Scotland, Holland, or perhaps Italy, you will have the opportunity to visit hidden places and meet local people from all walks of life. Rail services in Europe, and particularly in France, are excellent. The high speed TGV trains operate from Paris to all regions and link up with the Eurostar trains from London. Transfer from local station to meeting point is usually very easy, or a direct hotel barge pick up can often be arranged from the platform. In addition, there are some first-rate rail services into France from cities in neighbouring countries, such as Barcelona in Northern Spain and Zurich in Switzerland which give access to our Midi and Alsace cruising regions. Our designated meeting points mostly have a hotel option that we have carefully selected to offer a comfortable stay for one or more nights in the cruise region. Meeting times are predominantly on a Sunday afternoon, with return transfers on the following Saturday morning. For Burgundy cruises, return transfers are from a meeting point in central Paris such as the Hotel Westminster. Charter parties can be met at any hotel or other meeting point of their choice within a 30 minute drive of the hotel barge. As well as the major hubs such as Paris, London, Amsterdam, Frankfurt and Brussels, there are many well served regional airports near our cruise routes such as Lyon, Montpellier, Carcassonne, Toulouse, Strasbourg, Venice, Verona and Inverness. Flying to or from airports in adjoining countries such as Barcelona, Zurich or Geneva is also an attractive option if you wish to spend some time in another destination before or after your barge cruise. By Car Driving to the hotel barge through rural countryside at your own pace in your own or a hired car can be a very enjoyable â&#x20AC;&#x153;top and tailâ&#x20AC;? to a cruise. For passengers travelling from the UK, there are many cross-channel routes, including the Eurotunnel which takes only 35 minutes. Parking is available at the meeting point hotel or at another convenient location. We can also provide clear directions, or a direct pick-up can often be arranged. Please note that parking is at your own risk and expense. If you prefer to arrange your own private car transfer from an airport or railway station, even from outside France, driving times are very acceptable, ranging from around 1 hour from Toulouse to a Canal du Midi barge, to 4 hours from Geneva to one of our Burgundy barges. We Can Help Although we cannot package your tour, we can recommend a number of partner travel companies with a deep understanding of our business and who can help you with your individual requirements for booking flights, trains, ferries, hotels, car hire and even chauffeured limousines. We can also advise regarding your choice of travel, accommodation and timings. Please ask our experienced reservations staff. La Belle Epoque We returned from our trip with memories that will last a lifetime for the best vacation so far! Thank you for making my husband's 50th birthday celebration something we will all remember and were able to share as a family with a staff that became part of our family. This was our first time on a hotel barge and it exceeded our expectations. The whole experience was flawless from start to finish and we returned home relaxed & refreshed. All of the crew had a great sense of humour, which made for a very relaxed atmosphere, as well as being attentive, personable and professional. The week passed much too quickly, and we are looking forward to another trip next year. Spirit of Scotland This is one-stop shopping at its best. My husband and I kept putting off planning an anniversary trip because neither one of us really wanted to spend hours checking out hotels online, etc. We have made several barge trips in the past, and when the brochure arrived in the mail, we both said, "Let's go again!" One decision made and that took care of the whole week, and at a great value. A barge trip is very different from other types of cruises. It is intimate, it is flexible and relaxed. Both staff and other guests were great company, and we came home smiling for many days after the trip. L’Impressionniste This was our third trip and the best yet. Total relaxation, everything taken care of, so we could just enjoy ourselves. We met lovely fellow cruisers who were super company. The Enchanté barge cruise along the Canal du Midi was 5 star in every way. The barge itself is absolutely sparkling and reflects the love and care of the crew - every painted surface was sparkling, ropes were new, interiors and furniture spotless. We were waited on hand and foot over the course of the five days, and chef prepared meals worthy of a Michelin star. The wines were handpicked, as were the cheeses, and described at every meal. Outings were interesting, and cruising was wonderfully serene, wine in hand! I could not recommend this cruise more highly. Anjodi Loved it - we would barge again in the blink of an eye! We enjoyed the pace, scenery and sites of interest. The food and wines were exceptional. Photo Credits: Louisa & Roger Gronow, Dominique Monclus, Ruairi & Olivia Gibbons,Tom & Jenny Gorog, David and Tony Franklin-Ross, Glencoe Photography, ROAVR, Marie-George Stavelot, Aeropix, François Verlet, Visit Scotland/Scottish Viewpoint, Diego Tonninato, Atout France - R-Cast, Cêdric Helsly, Alain Doire, Daniel Philippe, Fabian Charaffi, Martine Prunevieille, A.S. Flament -CDT Marne: Matthew Price, Warren Stanley, Chris Nixon, Hadrien Famy, Adrian O'Brien, Brian Holt, Chris Thompson, Daniel Jones,Florian Rother, Judith Hornbogen, Martin Hesp, David Monk, David Powell, Zoltan Biczo, Dave Pruett, Alberto Rossini, Andre Juncker. Joss Roper, Celine Petot, Kerri McConnel, Mike Crowson, Hilke Maunder, Kathleen Stogell, Helen De Cent, Martin Hesp, Francois Allaire.